Click on the list below. Click on the "?" 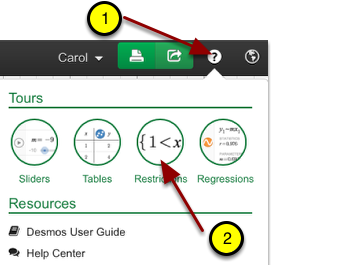 at the upper right of Desmos. Click on "Restrictions". Follow the tutorial. 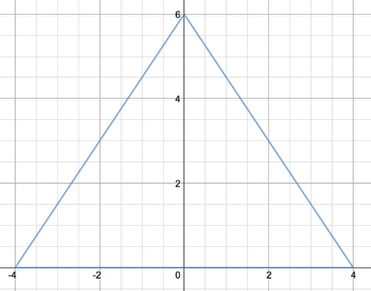 Add 3 domain restricted equations to draw the triangle below. Do NOT use a table. 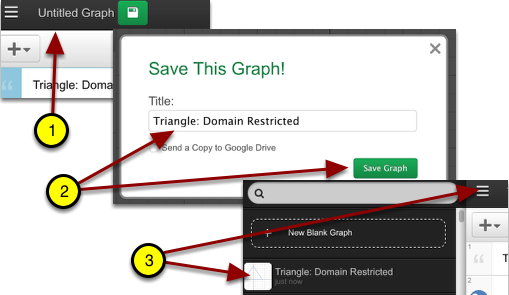 Click the 3 parallel bars to access saved graph.